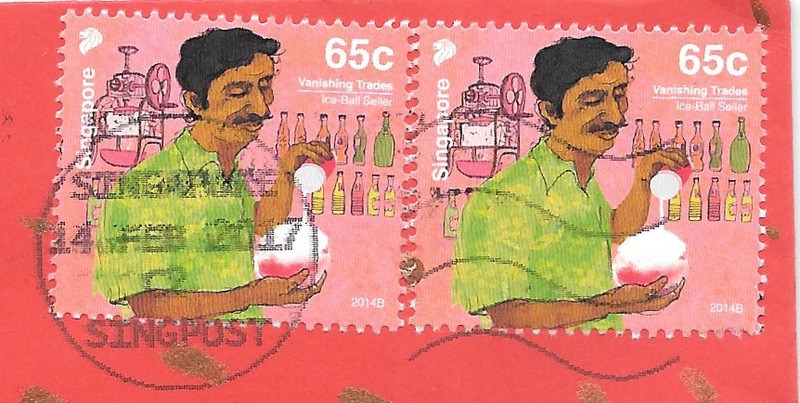 I have received two of these amazing Vanishing Trades stamps form Singapore. I showed the front of this postcard for a Sunday Stamps entry back in 2016. Here is the back. There are 14 in total, some issued in 2013, the rest in 2014. 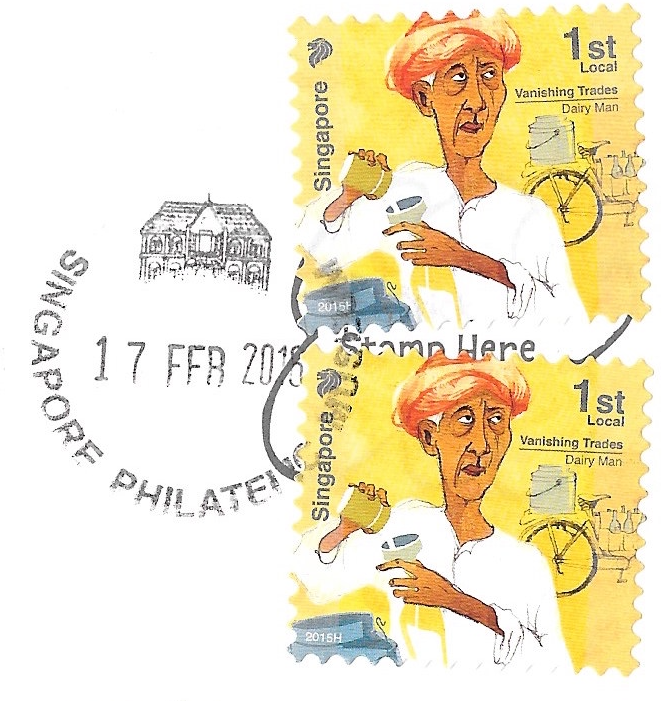 Here is a link to the SingPost website for better images, you'll have to scroll down the page. For links to more postage with a V theme, head over to Sunday Stamps. 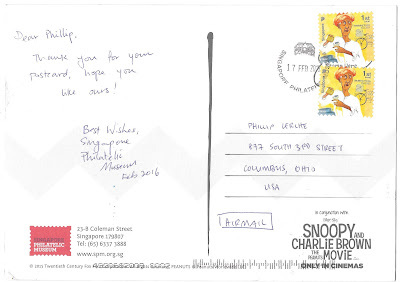 I think I received the same stamps on, maybe the same postcard! (Not that I got a lot of mail from Singapur!). 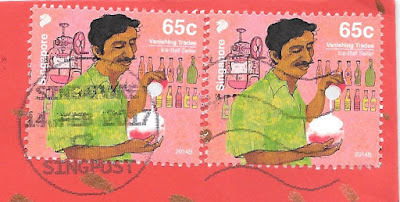 I think it's a great theme for stamps, and some trades intrigue me. There is a similar series in Spain, but they issue a stamp a year, or something like that. I am sure you got the dairy man from the Philatelic Museum like me. It is a good theme. Brazil also has a set like that, I think. The ice ball setter really has me intrigued!! I love this serie, thank you for sharing! Indeed there are trade stamps (not sure if those are vanishing trades) from Brazil, they are nice, too. I know that opinions can vary about anything, but it is very hard to see these as ugly stamps. I like the colors, the theme, and the fact that they chose drawings that resemble real people, not an idealized portrait of what a person should be. I love your topic choice - definitely not the one that comes first, nor even second or third to mind. The stamps are lovely too! Thanks, I have been hanging on to these for Sunday Stamps for a while. Here's hoping that the dairy trade never vanishes. I'm with you there - if I had to give up cheese I'd be very unhappy.